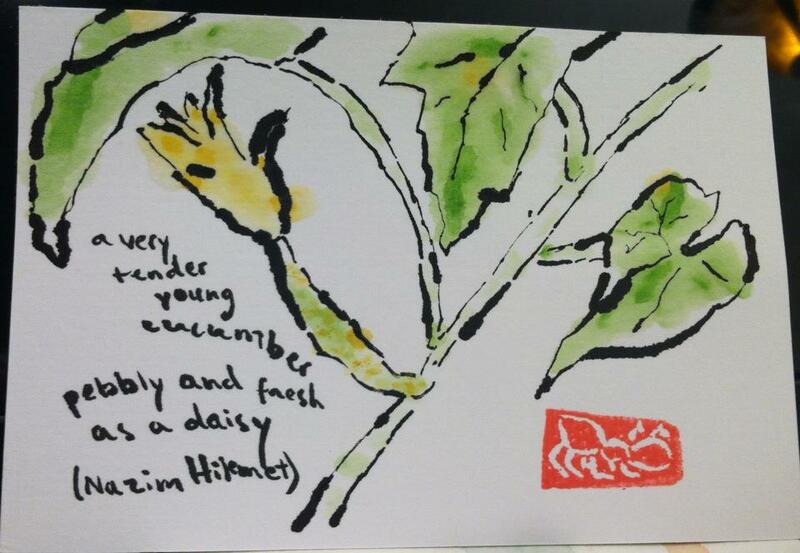 Etegami of my now long-gone cucumber plant. We planted it early last summer, it started flowering and showing some little cukes in July, and it bore full-grown cucumbers in late July. I harvested them — amazingly prickly fresh cucumbers are! — and I made a batch of cucumber mint lime agua fresca (check out the recipe from an earlier etegami here) for a summer party. Then, tragedy: our neighbor mistook its vines for a weed and one the whole plant was gone.